Bicknell's Thrush has been identified as a globally vulnerable Nearctic-Neotropical migratory bird in need of serious conservation efforts. This species travels each year between its breeding grounds in the Canadian maritime provinces and upper northeastern United States and its winter home in the Greater Antilles. Males and females use different habitats in winter, with females preferring middle elevation forests that are more vulnerable to human disturbance than the higher, more remote forests used by males. A new study from The Condor: Ornithological Applications identifies key habitat for females in the remaining fragmented montane wet forests of the Dominican Republic. "Today's multiple environmental threats and stressors (e.g., deforestation, predation by invasive species, climate change, bioaccumulation of heavy metal pollutants, etc.) are crafting an uncertain future for species with complex life cycles in their breeding grounds, stopover sites, and wintering grounds," adds Eduardo E. Ingio Elias, a senior research associate of the Cornell Lab of Ornithology who was not involved with this research. "However, to conserve key suitable habitat for any species, ornithologists and land managers need to identify where that habitat is, what the population survival is within that habitat, and what threats birds face there." Vermont Center for Ecostudies scientist Kent McFarland and colleagues used a combination of field and GIS methods to predict areas that would be the best to conserve for Bicknell's Thrushes. A model to predict Bicknell's Thrushes' distribution and habitat use was created using occurrence data and environmental variables collected from field surveys, combined with land cover data from remote sensing. Thrush presence and abundance in an area was best predicted by the combination of elevation (densities peaked at ~600 m), aspect (northeastern slopes), the amount of forest cover within 1 km, and forest density. Lead author Kent McFarland emphasizes the importance of this work, which has demonstrated putting research into conservation action, "We used our results to help identify, purchase, and create the Dominican Republic's first-ever private reserve, the 400-ha Reserva Privada Zorzal, where 70% of the land is to be forest and 'forever wild' while the remainder is for compatible crops such as organic chocolate. We are hoping that our work will be used to identify and prioritize additional lands for conservation of the Bicknell's Thrush in the region and elsewhere." 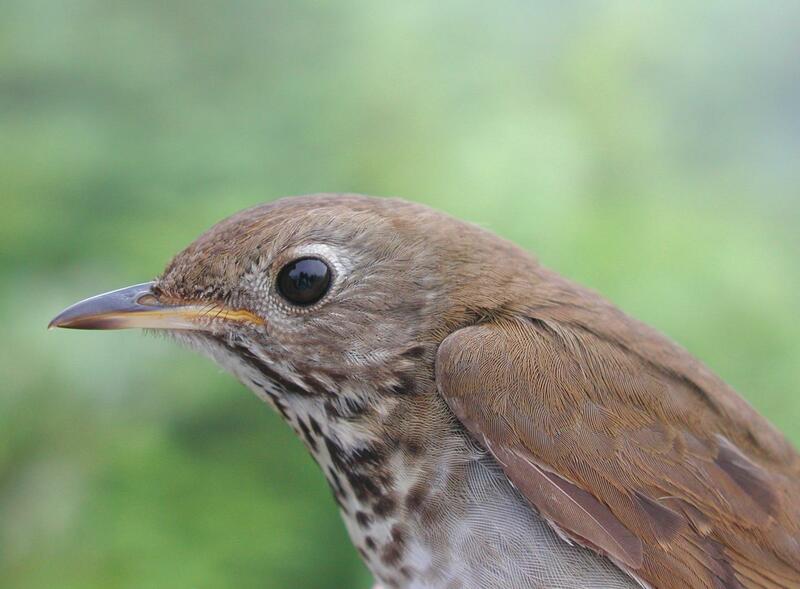 Modeling spatial variation in winter abundance to direct conservation actions for a vulnerable migratory songbird, the Bicknell's Thrush (Catharus bicknelli) will be available June 6, 2018 at http://www.bioone.org/doi/full/10.1650/CONDOR-17-234.1. About the journal: The Condor: Ornithological Applications is a peer-reviewed, international journal of ornithology published by the American Ornithological Society. The journal began in 1899 and in 2016 The Condor had the number one impact factor among 24 ornithology journals.